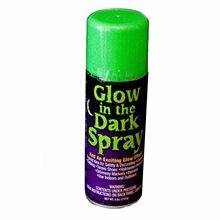 Glow in the Dark Spray,With this glow in the dark spray can you can add accents to costumes, streak a freaky wig, brighten up shirts and shoes, make banners and decorations glow eerily, accent trick or treat bags for safety, use indoors or outdoors. Brown Hair Spray.Includes: One Brown Hair Spray. *Costume and Accessories Not Included. 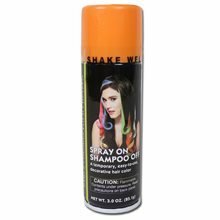 Sold Separately.Complete your costume with this Brown Hair Spray! The first shop was a tiny hole in the wall located in down town Salt Lake City. Loftus Novelty was the first business in Salt Lake City to offer novelty and magic. With quality products from all over the world Loftus International continues to grow into one of the premier novelty magic and balloon distrubutors in the United States delivering you all that you wish for your party needs. Hair Spray Black Studio. Cannot Ship Out Of The U.S.Cannot Be Shipped Via Air. Silver Glitter Hair Spray.Includes: One Silver Glitter Hair Spray. *Costume and Accessories Not Included. Sold Separately. The first shop was a tiny hole in the wall located in down town Salt Lake City. Loftus Novelty was the first business in Salt Lake City to offer novelty and magic. With quality products from all over the world Loftus International continues to grow into one of the premier novelty magic and balloon distrubutors in the United States delivering you all that you wish for your party needs. Hair Spray Silver Glitter. Cannot Ship Out Of The U.S.Cannot Be Shipped Via Air. 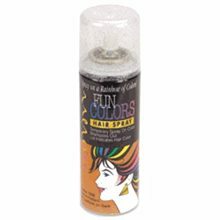 Black Neon Hair Spray.Includes: One 4.5fl oz can of Black Neon Hair Spray. *Costume and Accessories Not Included. Sold Separately.Temporary Hair Color. Great for Halloween or Just Use it for an Exciting New Look! 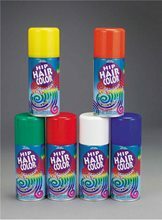 Neon Hair Spray; Available Color : Yellow, Pink, Purple.